The Universities at Shady Grove (USG) has awarded UMBC’s Andrew Nolan the Program Director of the Year Kendall Service Award for 2017. 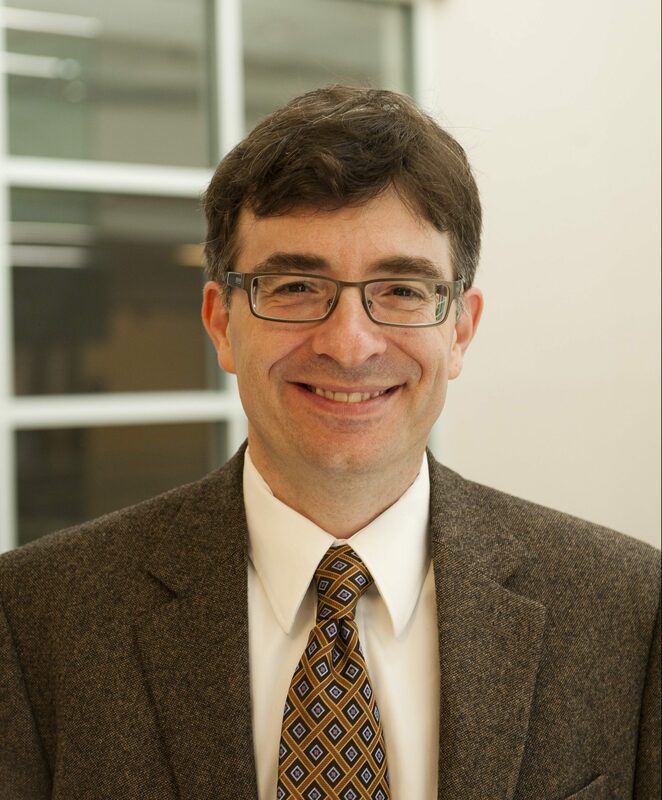 Nolan is senior lecturer and program director for UMBC’s history program at USG. He has been part of the UMBC’s history faculty at USG since 2008. Nolan’s teaching focuses on modern U.S. history, cultural and constitutional history, and historical writing and research methods. He is currently working on a book that explores the 1925 Scopes Trial as a symbolic opening in an ongoing debate over the nature of the modern American nation. This research also resulted in the article “Making Modern Men: The Scopes Trial, Masculinity and Progress in the 1920s United States,” published in Gender & History. In addition to teaching, Nolan also worked to launch a minor in public history at UMBC@USG. His efforts, along with the efforts of his staff and faculty colleagues at Shady Grove, have doubled the size of the UMBC@USG history program in the last year. 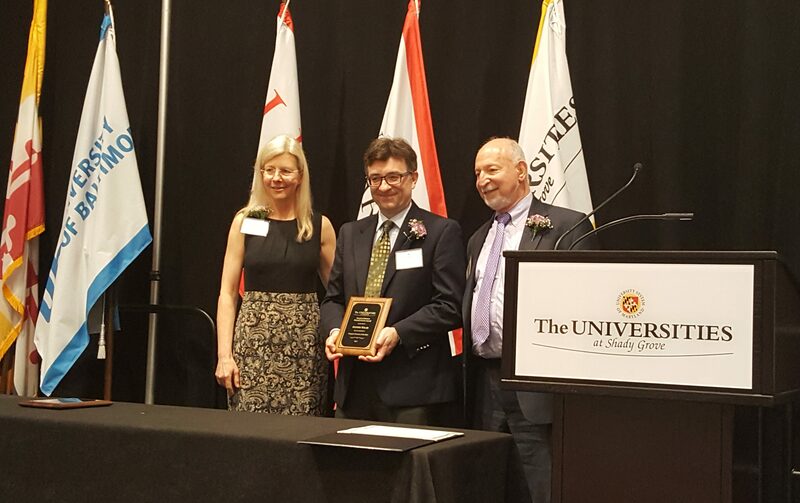 The Kendall Service Award recognizes faculty, program directors, and staff who have performed exceptionally in supporting student success at USG. Winners were recognized at a campus-wide ceremony earlier today. Images: Photos of Andrew Nolan are by Marlayna Demond ’11 for UMBC. Awards ceremony photo is by Christopher Steele.